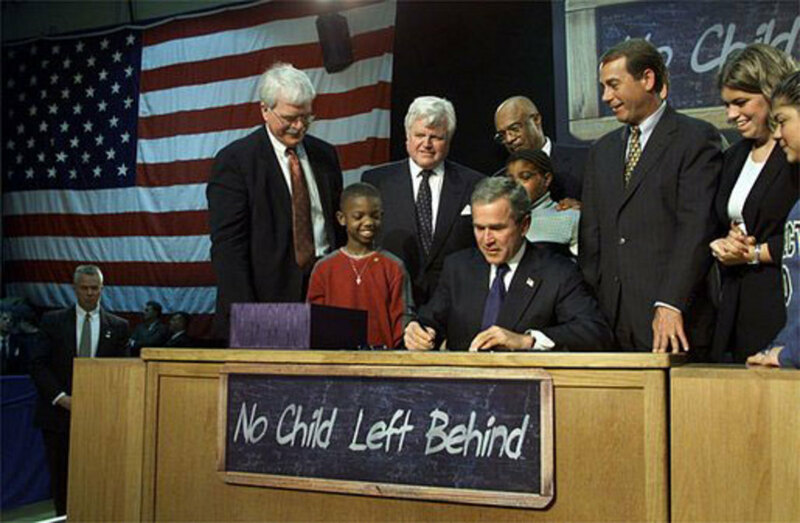 We all know about the most famous children of the Bush family ... President George W. Bush and Florida Governor Jeb Bush. However, many are unaware of the other children of George and Barbara Bush. 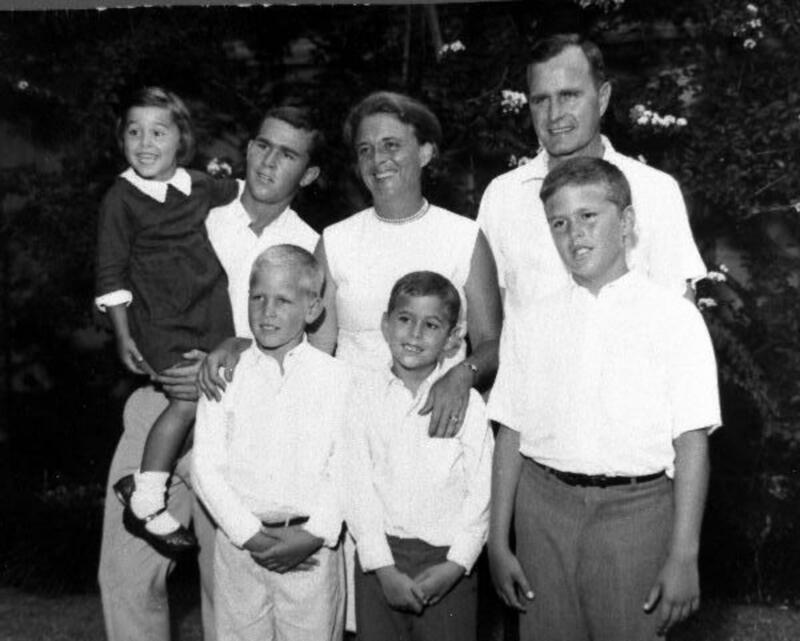 President and Mrs. Bush had six children: George W. (the oldest child), Pauline Robinson Bush known as "Robin", John Ellis Bush nicknamed "Jeb", Neil Mallon Bush, Marvin Pierce Bush and Dorothy Bush, whose nickname is "Doro". Following is information concerning the lesser known other children of George and Barbara Bush. Pauline Robinson "Robin" Bush was born in 1949, the second child of George and Barbara Bush, after the birth of George W. in 1946. Sadly, she was diagnosed with advanced leukemia when she was just 3 years old. Her parents took her to New York City for treatments, however, she passed away just two months before her fourth birthday. There was no funeral for Robin as her remains were donated to science to be used for research in the hope that a cure for leukemia would be found. Her maternal grandfather placed a small headstone for Robin in his family cemetery in Greenwich, Connecticut. Many years later, the headstone was moved to the George H. W. Bush Presidential Library at Texas A&M University which will be the final resting place of her parents. Neil was born in 1955 after the birth of Jeb and the death of Robin, both of which occurred in 1953. He struggled throughout school until he was diagnosed with dyslexia. Barbara worked long and hard with Neil to overcome his disability and he later graduated from Tulane University with an MBA. He is the chairman of Points of Light Institute which is a foundation that promotes volunteering for worthy causes around the world. During his father's term as Vice President, Neil served on the board of directors of Silverado Savings and Loan prior to its collapse which cost taxpayers 1.3 billion dollars. The investigation revealed that Neil had questionable activities involving numerous conflicts of interest. Surprisingly, he was not indicted on criminal charges. The FDIC (Federal Deposit Insurance Corp.) brought civil charges against him which were settled out of court resulting in a payment of $50,000 as his part of the settlement. A Republican fundraising effort was made to help Neil with the costs of these dealings. 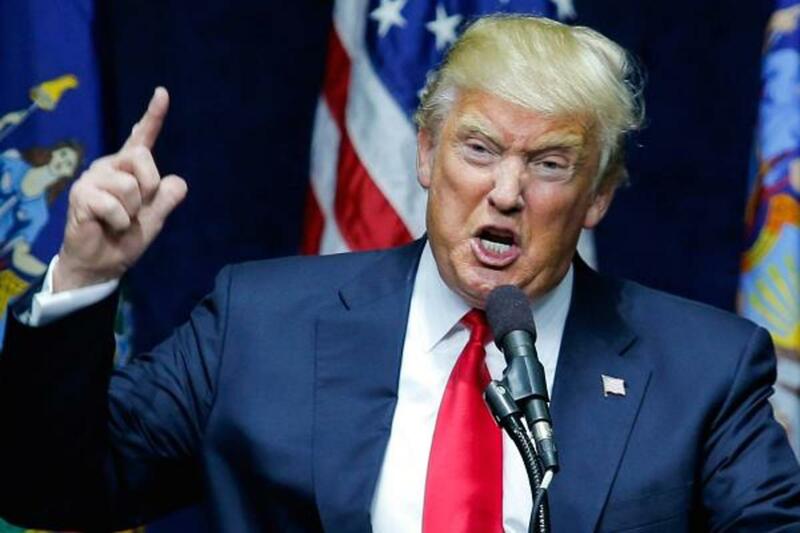 A highly publicized divorce from his wife of 23 years, Sharon, brought to light that Neil had contracted STD herpes from high-priced prostitutes in Hong Kong and Thailand. A year later he married his current wife, Maria, who claimed that he was the father of her 2 year old son. Born in 1956, Marvin is a venture capitalist and until 2000 he served on the board of directors for Securacom, a company that maintained security for the World Trade Center Towers. After the September11, 2001 terrorist attacks on the Towers, Securacom and Marvin Bush were severely criticized in the media. Marvin now leads a relatively private life, as much as possible as a member of such a powerful American political family. He received a BS degree from the University of Virginia. He and his wife, Margaret have two adopted children. 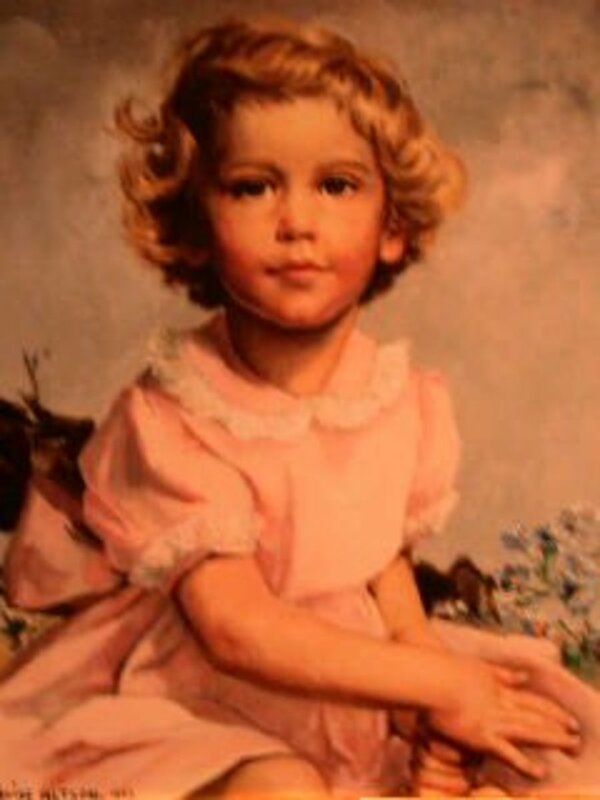 Dorothy, nicknamed Doro, was born in 1959 and is the youngest of the George and Barbara Bush children. She is married to Robert Koch, the President of the Wine Institute and who was formerly an aide to House Democratic Leader Richard Gephardt, which is ironic considering the Bush family is staunchly Republican. Dorothy has a BA degree in Sociology from Boston College. She has two children with Koch and two by a previous marriage. Dorothy lives in Bethesda, Maryland and serves with her brother, Jeb, as co-chair of the Barbara Bush Foundation for Family Literacy. She played a major fundraising role in her brother's two presidential campaigns. 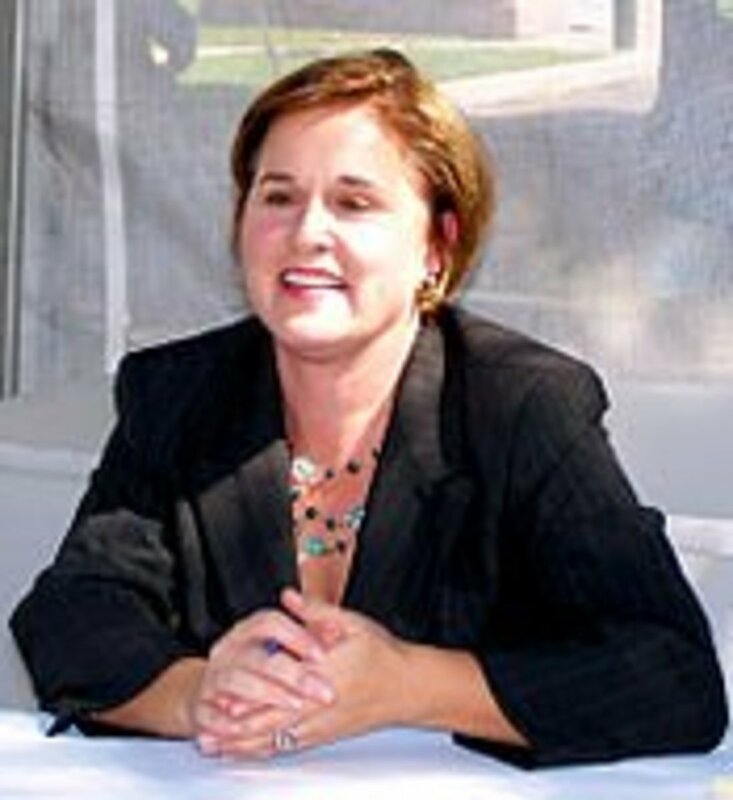 She is also the author of the book "My Father, My President: A Personal Account of the Life of George H. W. Bush". How many children did George and Barbara Bush have? They had six children. Five of them reached adulthood. One child, a daughter called Robin, passed away as a child. Barbara Bush has how many grandchildren? Mrs. Bush had 14 grandchildren and 7 great-grandchildren. What basic information do you have about Jeb Bush? Jeb's real name is John Ellis Bush. His nickname consists of his initials, "Jeb". 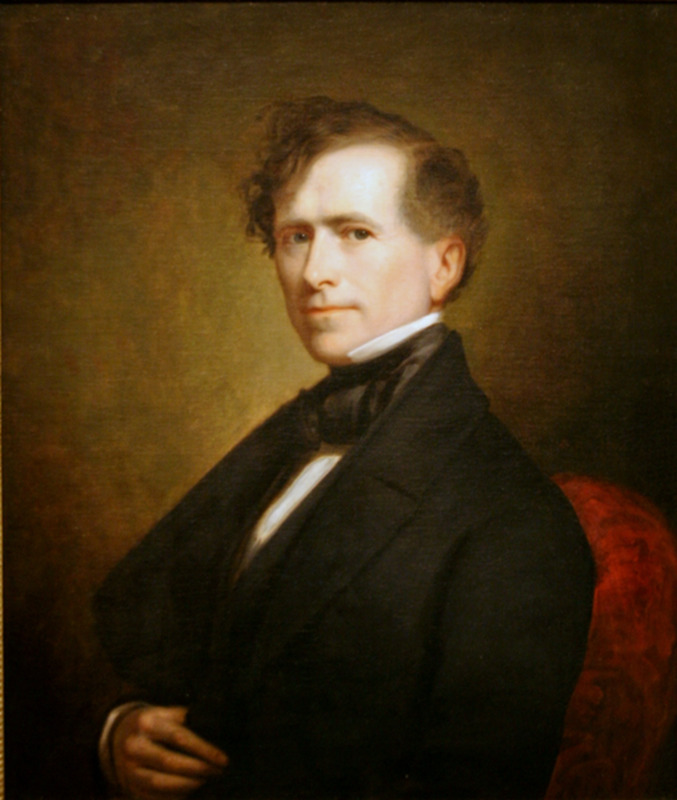 He was the governor of Florida and ran unsuccessfully for the U.S. presidency. He is the husband of Dorothy, the daughter of George and Barbara Bush. Were Barbara Bush's children at her funeral? Yes, her children were there. Is George Bush's wife Mexican? No, neither Barbara Bush or Laura Bush are Mexican. is Dorothy's husband one of the Koch brothers? No, Dorothy's husband is not one of the Koch brothers. The brothers' names are David (born 1940) and Charles (born 1935). Their parents were Fred and Mary Koch. Dorothy's husband is Robert "Bobby" Koch born in 1960. His father was George William Koch. I am unaware of any relation between the two Koch families. Did Barbara Bush have grandchildren? What is the name of Jeb Bush's wife? 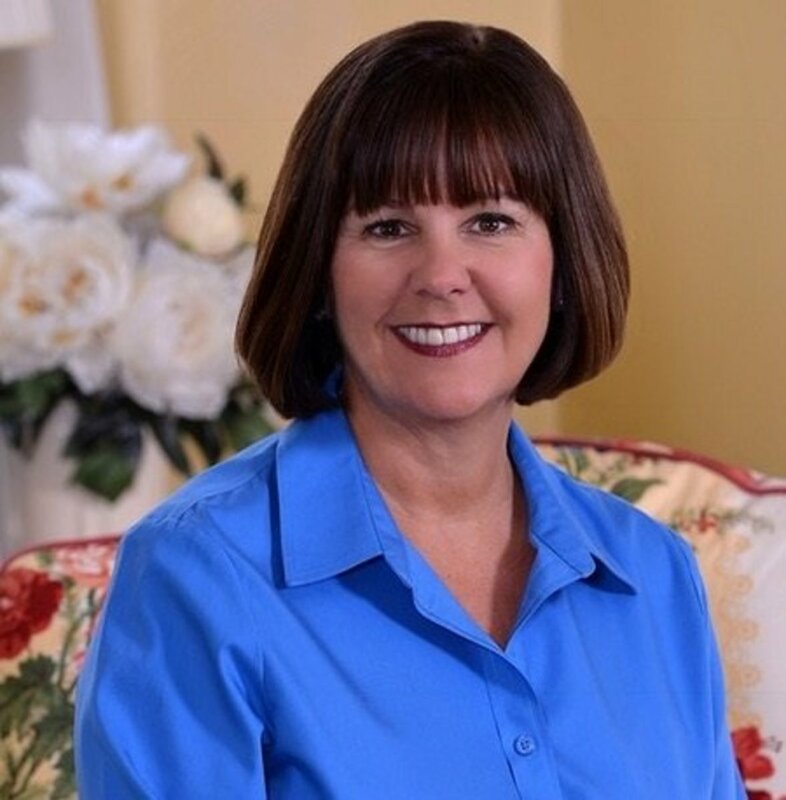 Mrs. Jeb Bush's first name is Columba. What is the pattern of First Lady, Barbara Bush's, white house china? That is a great question but I am afraid I couldn't find an answer for you. Some of the first ladies didn't order their own pattern and Barbara Bush may be one that didn't. I was in the dish room at the White House during her son's administration and I don't remember seeing a display of her china. My favorite pattern is Hillary Clinton's china followed by Mamie Eisenhower's and Nancy Reagan's dishes. Of the older first ladies, I like Sarah Polk's pattern best. She was in the White House from 1845 to 1849. What is Barbara Bush's maiden name? Her maiden name was Pierce. Did any of Barbara Bush's grandchildren die? No, none of her grandchildren have died. Perhaps, you are thinking of Barbara Bush's daughter, Robin, who died when she was four-years-old. 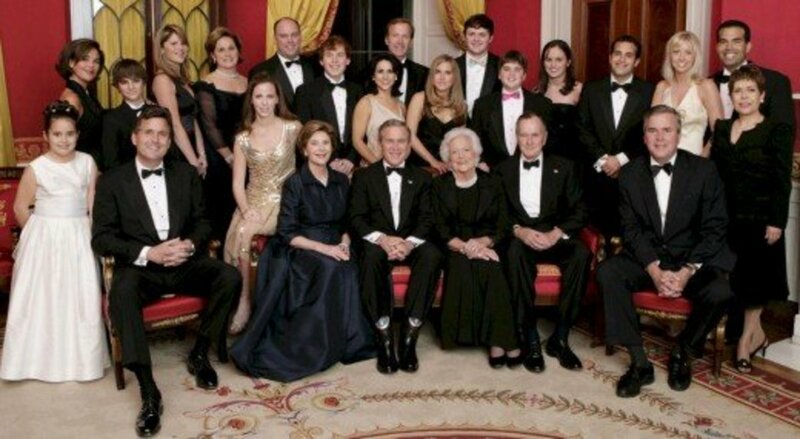 Is Sofia Bush related to George and Barbara Bush? No, she is not related to the president's family. What religion was George H. W. Bush? Bush was raised in the Episcopal Church. 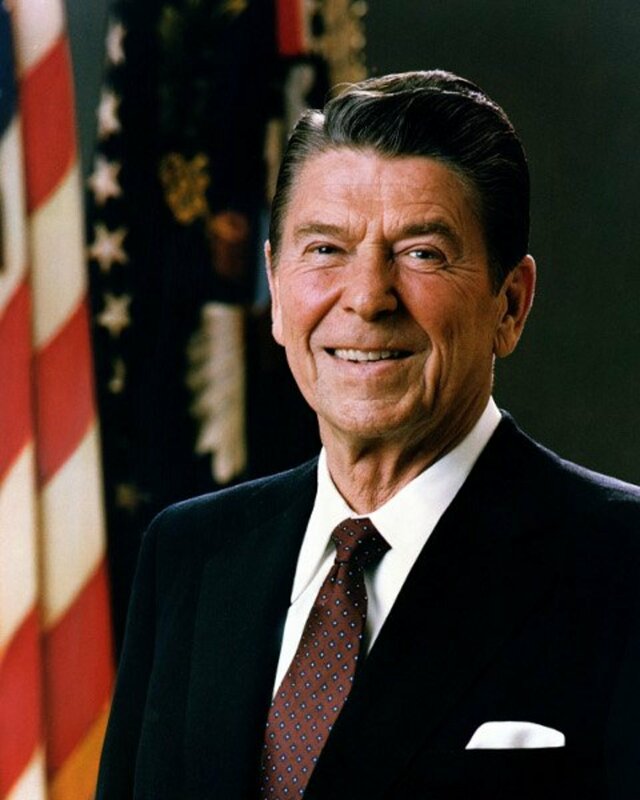 He supported prayer in schools and the pro-life movement. Where was the wife of Jeb Bush born? Colomba Bush was born in Leon, Mexico. What number is Jeb Bush in the family? Jeb was the third child born to George and Barbara Bush. 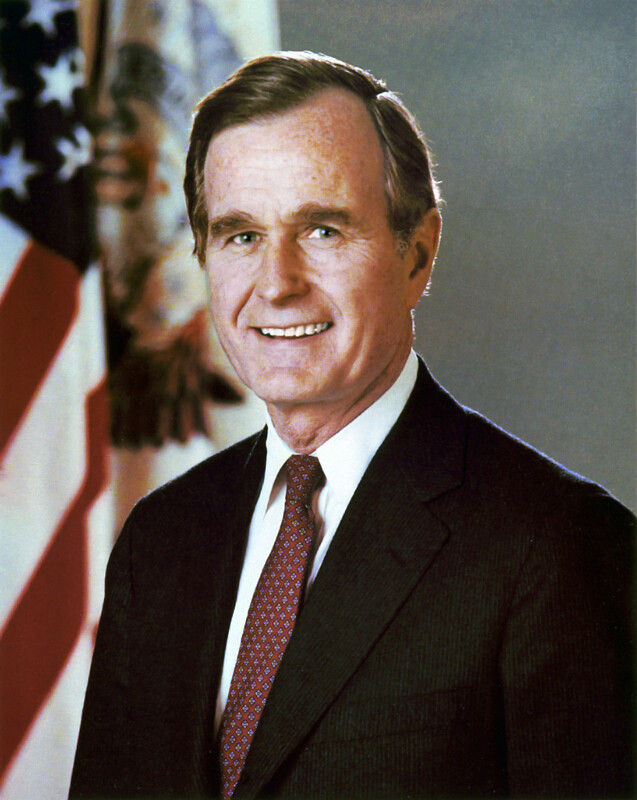 George W. Bush was born in 1946 and Robin Bush (who is deceased) was born in 1949. Jeb was born in 1953. What is the birth order of the Bush children? George W., Robin, Jeb, Neil, Marvin and Dorothy is the birth order. Who are the twin daughters of George W. Bush? George W. Bush and his wife, Laura, have two twin daughters named Barbara and Jenna. Is the wife of Jeb Bush Hispanic? Columba Bush, wife of Jeb Bush, was born in Mexico. How many great-grandchildren did Barbara Bush have? Mrs. Bush had 8 great-grandchildren. Who are "Margaret Bush and Margaret Bush" on the invitee list to the funeral of Barbara Bush? That entry was an error on the attendee's list for the funeral. It should have read "Marvin and Margaret Bush". Marvin is the son of Barbara Bush and Margaret is his wife. Who is the oldest grandson of George and Barbara Bush? George Prescott Bush, born in 1976, is the son of Jeb Bush. How tall are the Bush boys? George W. Bush is 6'0" tall and Jeb Bush is 6'3" tall. 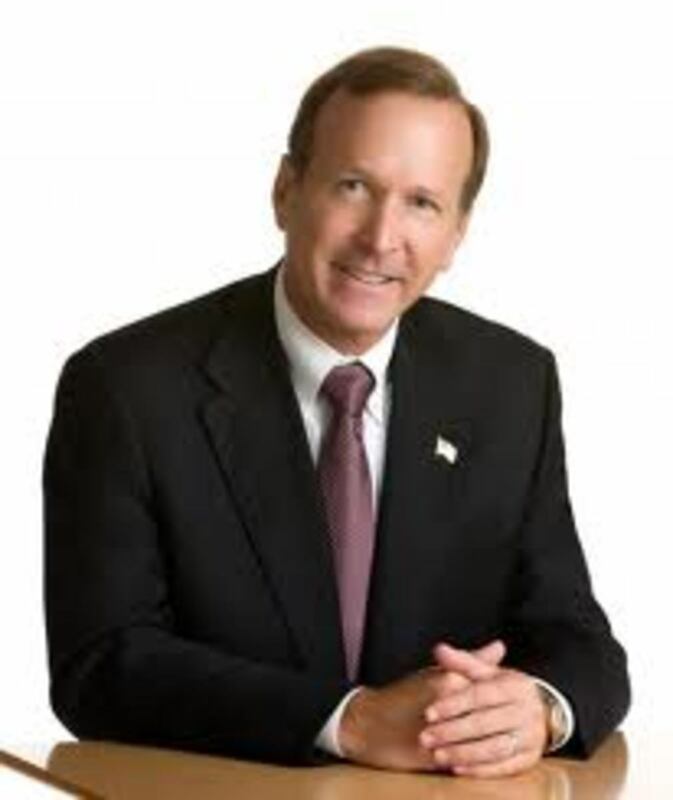 I'm sorry, I don't know the height of brothers Marvin and Neil Bush. Did George and Barbara Bush have an adopted child that they raised for a maid? No, they did not have an adopted child. 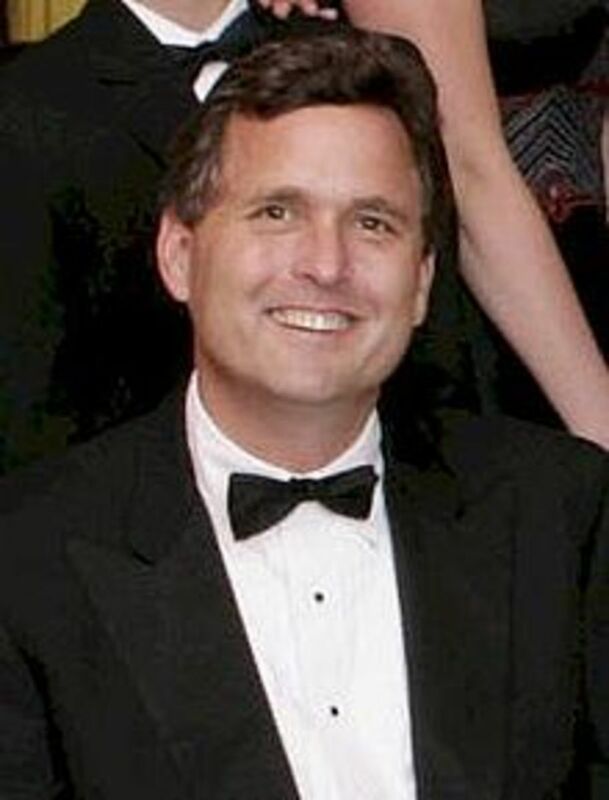 However, they did have an adopted granddaughter and grandson, children of Marvin Bush. How many children do Jeb Bush and his wife have? Jeb Bush and his wife Columba have 3 children. Did George and Barbara Bush adopt any children? No, they did not adopt any children. However, they did have 2 adopted grandchildren. Did George and Barbara Bush have an adopted daughter? No, they did not have an adopted daughter. However, they did have an adopted granddaughter named Marshall Bush. What was Dorothy Bush's first husband's name? The name of Dorothy's first husband was William LeBlond. Is Jeb Bush’s wife Mexican? She was born in Mexico but is an American citizen. Where does Marvin Bush live now? How many grandchildren and great-grandchildren did Barbara Bush have? George and Barbara Bush had 17 grandchildren and 8 great-grandchildren. What church did George and Barbara Bush attend? They attended St. Martin's Episcopal Church in Houston. Were Marvin and Neil Bush at the funeral of Mrs. Barbara Bush? Yes, they both were there. Marvin's name was incorrect on the official guest list. He and his wife, Margaret, should have both been listed. By mistake, their names were shown as Margaret and Margaret Bush. Was Marvin Bush at his mom's funeral? Yes, Marvin and his wife Margaret were at the funeral. How many grandchildren did Barbara Bush have? Mrs. Bush had 14 grandchildren. George W. has 2 children, Jeb has 3, Neil has 3, Marvin has 2 and Dorothy has 4. Thank you for your question and for reading my article. Why is Jeb Bush not mentioned in your article describing the Bush children? The article is intended to give information about the lesser known children of George and Barbara Bush. Most people know about George W. and Jeb, however, the other children are not familiar to most people. Did George and Barbara Bush adopt a daughter? Where was Barbara Bush from? Mrs. Bush was born in New York City and grew up in Rye, NY. 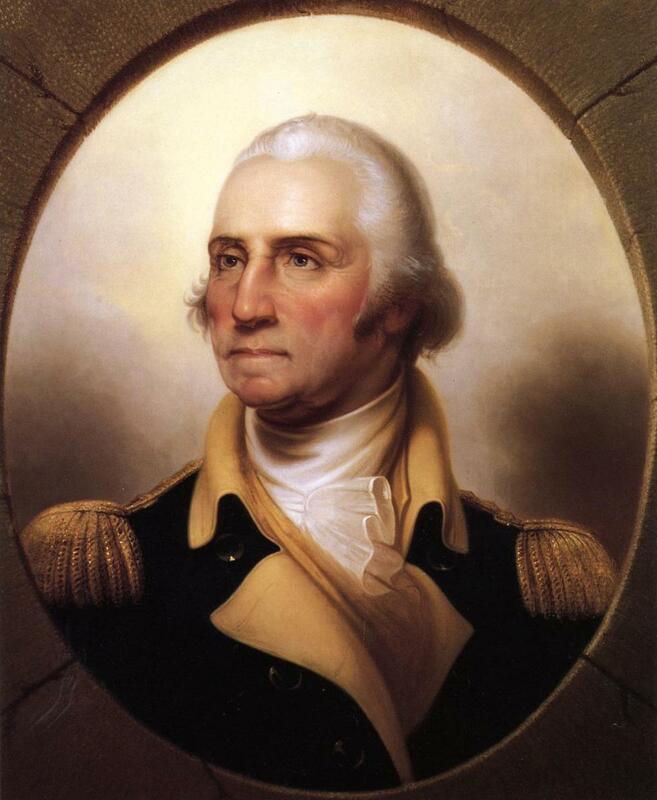 Who Was the Worst President in American History? Please Share Your Comments on "The Other Children of George and Barbara Bush"
I was under the impression that after researchers are finished with a donated body, they cremate it and return it to the family. Sometimes it takes several years. The headstone could have been placed there when they received Robins remains. Pierce was Mrs. Bush's maiden name. On the gate to the grave it says Bush so it is understood that anyone buried there is a Bush. My research indicates what I wrote in the article ... Her maternal grandfather placed a small headstone for Robin in his family cemetery in Greenwich, Connecticut. Many years later, the headstone was moved to the George H. W. Bush Presidential Library at Texas A&M University which will be the final resting place of her parents. Perhaps the newscasters believe that her remains are there since they saw a tombstone for her. Great questions, thank you for asking. During coverage of Barbara Bush’s funeral today, it was said by multiple TV news stations said she was being laid to rest next to her daughter Robin at the plot behind the Presidential Library at Texas A&M University. You say there were no remains since her body was donated for research toward a cure for leukemia. So - which is it? Boy , Even on the day of Barbara Bush's funeral ,the media has to find negative things of this family. For shame, if you are Christians. Thank you for this article about the "other Bush children's. Very informative article! Have often wondered why we never heard much about the other 3 children! My folks told me about Joe Kennedy running boot leg whiskey off shore on Long Island and selling it in N.Y. City . It seems that everyone on the island knew about it. That was how he made his money back then. I am wearing my mother's pearls today to honor Barbara Bush and my mother who was born in the same year. Both stong women of the highest integrity and character. RIP our beloved Mrs. Bush, thank you for so many years of love that you showed the nation. God Bless you and my deepest sympathy to the Bush Family. She was an awesome lady. wow one of the bush kids cost tax payers 1.3 billion dollars, but he only had to pay back 50,000, and got help paying it back, wow, good to have your father as president. Ruth thank you for reading and commenting. You are right...Barbara would not put up with any shenanigans like that! Thank you Paul for taking the time to read and comment. This family is living proof that wealth and entitlement are not guaranteed builders of charactet. Jackie thanks for your comments. The election is going to be interesting to say the least. Very interesting; I had never even considered their other children. Don't imagine George Sr will be around much longer; he seems like a very nice man to be a politician. I am not crazy about Jeb though; he somehow just does not ring true to me when he talks. He just might be our next President though; never know. aesta1 I have to admit I didn't know much about them either until I researched this article. Thanks for taking the time to read and comment. I have to admit I didn't the other children, only George and Jeb. It is interesting to know the lives of the others. Thank you for your wonderful comments sosown. Glad you liked my topic choice. Awesome. That is definitely a subject not usually covered, great choice of topic. Thank you rasta1 for reading and commenting. Yes, they are an interesting and powerful family. I found this article very enlightening. Such a powerful family in America. FlourishAnyway thanks for stopping by to read my hub and for taking the time to comment. Enlightening indeed ... all the connections. Sad to know about Robin. I am glad they donated her body to science. Her parents were at her side when she died. I have never heard the golf rumor and truly believe that is just a rumor. I do not know the length of time between her death and the setting of the headstone. Thank you for your comments. I recently heard, after being told their daughter had died, the parents went off for a game of golf. As you state, they donated the body to research and didn't hold a memorial service or any other form of "burial". It was three years after her death that her grandparents stepped in and organized a head stone. Not exactly warm and fuzzy. Many people have told me they were unaware of the George and Barbara Bush daughter that died. American Romance thanks for the compliment. I will definitely look into the bootlegging Kennedys! Very interesting hub! You seem very good at this! Write one on the Kennedy's, I would love to read about them and be sure to include how they got rich bootlegging whiskey. Many Americans do not know this about this family. weestro I thought the picture of Robin was so beautiful. Yes, very sad. Thanks for taking the time to comment and I appreciate the vote up!! Very interesting read thelmac, I didn't know of Robin, very sad indeed. What an interesting family! Voted up! Jean-ette thanks for your nice comments. I was happy to find the beautiful picture of the deceased Robin to share with my readers. I was fortunate to meet President George W. Bush however, I did not know about the deceased daughter of President George H. W. Bush and Barbara until I started researching this article. Hi ThelmaC, what an interesting hub and an interesting family. So sad to loose a child, though.